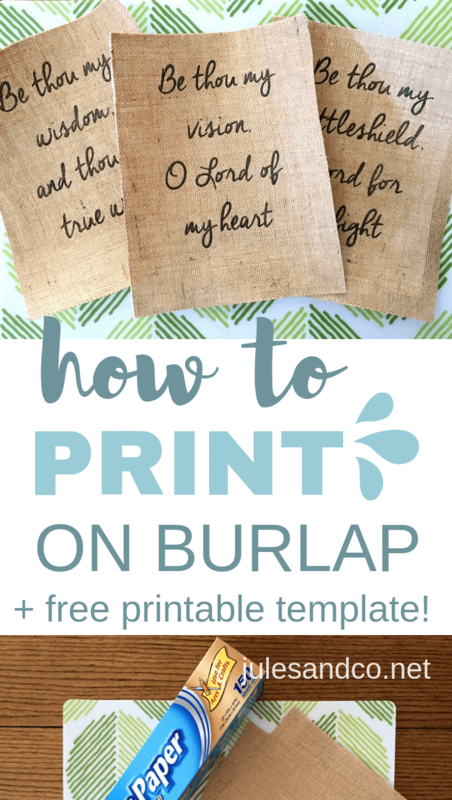 Inside: Make your own burlap signs with this step-by-step tutorial: how to print on burlap. 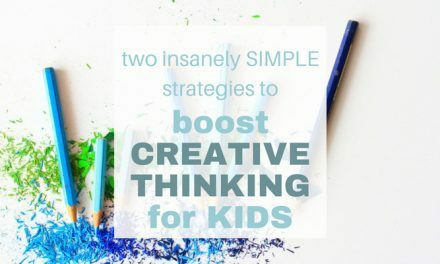 It’s easier than you think, and I’ve even got a free printable template design to get you started! 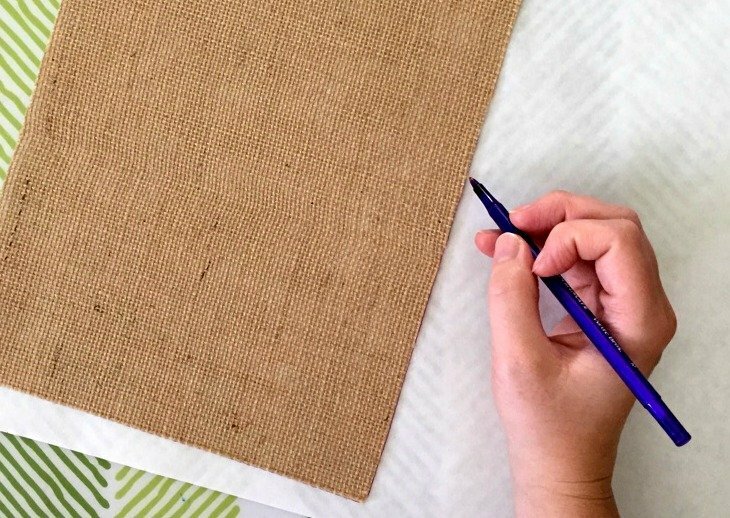 Hey mama, I’m taking a break from my usual parenting post to bring you a super easy printed burlap wall art tutorial. Disclaimer: This post contains affiliate links. At no extra charge to you, I’ll receive a small commission if you purchase a product I recommend. I don’t know about you, but when it’s nap time for my kids, I love taking that time to be creative! It’s so important to schedule time during your day to fill up your bucket, do something purposeful, and cultivate your gifts outside of motherhood. For me, creating and bringing a project to completion is just one of the little joys I look forward to when the kids are napping. I’ll be honest, for a while I used nap time as an excuse to be lazy on the couch and scroll through Facebook. Turns out that’s more draining than watching toddlers all day! Instead of spending that precious alone time on social media, my nap time goals are to stretch my creative muscles. To make beautiful things while my little ones sleep! When I do this, I’m more energized and ready to put my mama hat back on when they wake up. It’s the little things, you know? 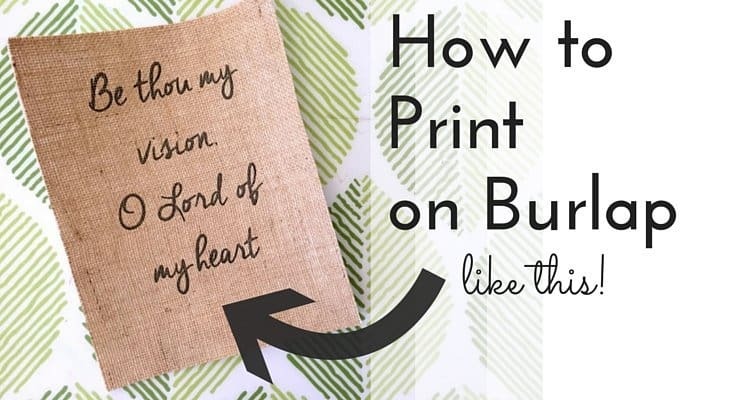 So mama, have you ever wondered how to print on burlap for an art or craft project? I’m all about the rustic farmhouse look going around these days. I love the simplicity and the character, and I especially love all the DIY possibilities! Psst… If you love DIY, check out the cute and functional magnet felt board I made for my kids’ space, or grab four sweet printable quotes from children’s books! I was inspired by this post about burlap prints. At first, I was a bit intimidated at first about printing on burlap. I thought I might damage my printer, but it turned out to be so easy! Seriously, it took me less than 15 minutes to make three adorable burlap signs. It’s an easy DIY project you can get done during nap time with time to spare! I made these burlap signs for my sister. 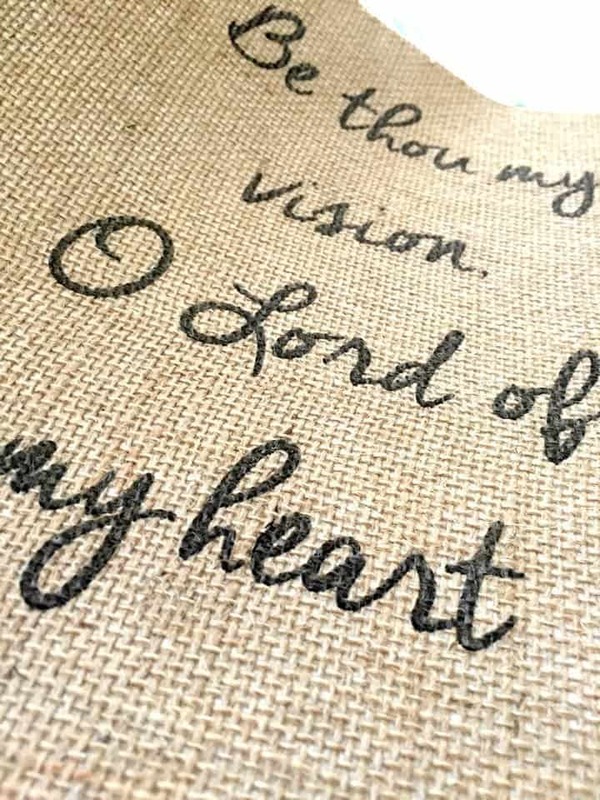 We sang “Be Thou My Vision” at her wedding a few years ago, and I thought printed quotes from this hymn would be the perfect gift for her. If you want to steal my design, sign up for our free printable library! 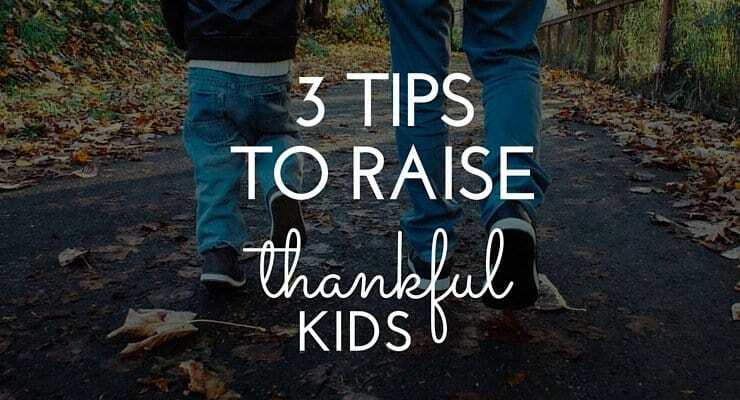 You’ll get access to these printables as well as tons of parenting tools, schedules, and resources to help you thrive as a mom. Freezer paper (Hint: NOT wax paper, it’s too thin. I was able to find freezer paper at my local WalMart next to the Ziploc bags.) The purpose of the freezer paper is to make sure ink doesn’t seep through the burlap and damage your printer. Step 1: Create the text you want to print. There are several ways you can create your document. If you have a word processing software on your computer like Word or Publisher, that’s an easy start. Or, if you’re like me and love tinkering with design, try a free online editor like Canva.com. Step 2: Trim the freezer paper to fit the burlap. 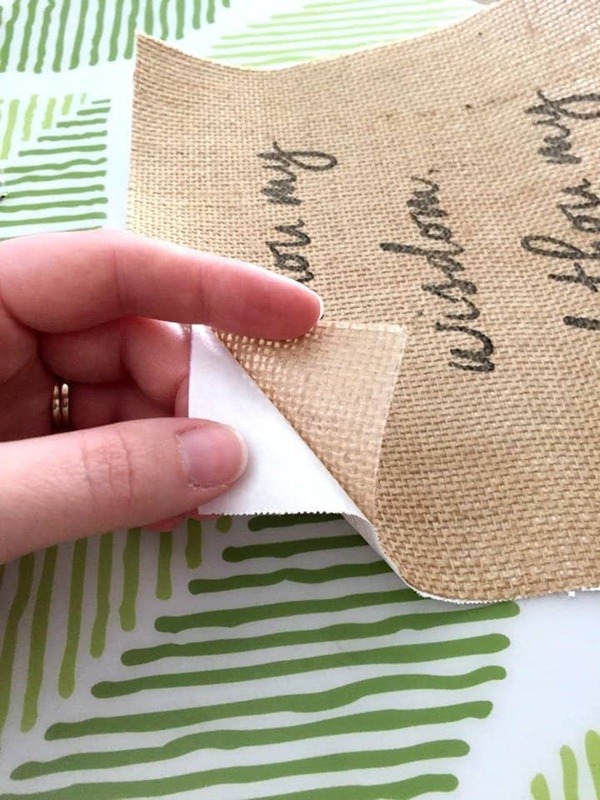 Make sure your burlap is 8.5 x 11 inches, then trim a piece of freezer paper to fit exactly on the back of the burlap. Trim of any dangling burlap threads so they don’t get caught in your printer! Step 3: Iron on the freezer paper. Put the SHINY SIDE DOWN on the back of your burlap piece. 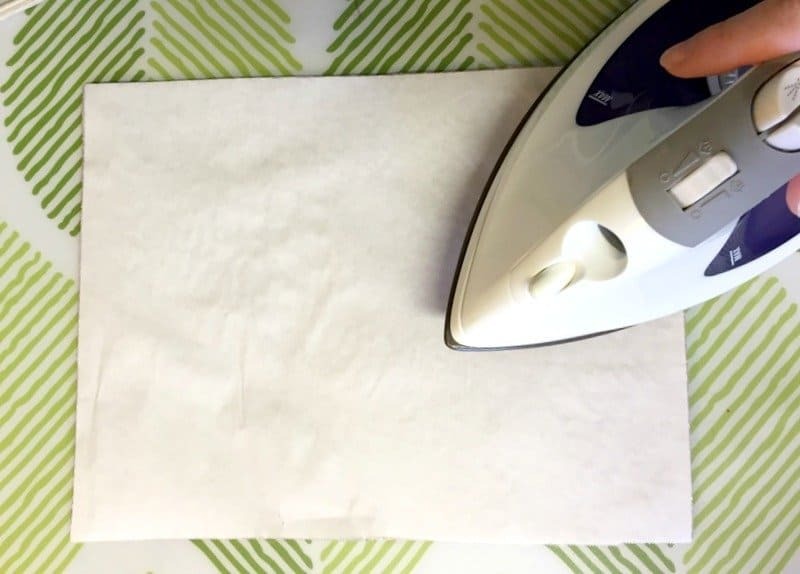 Use your iron to “melt” the burlap and freezer paper together. 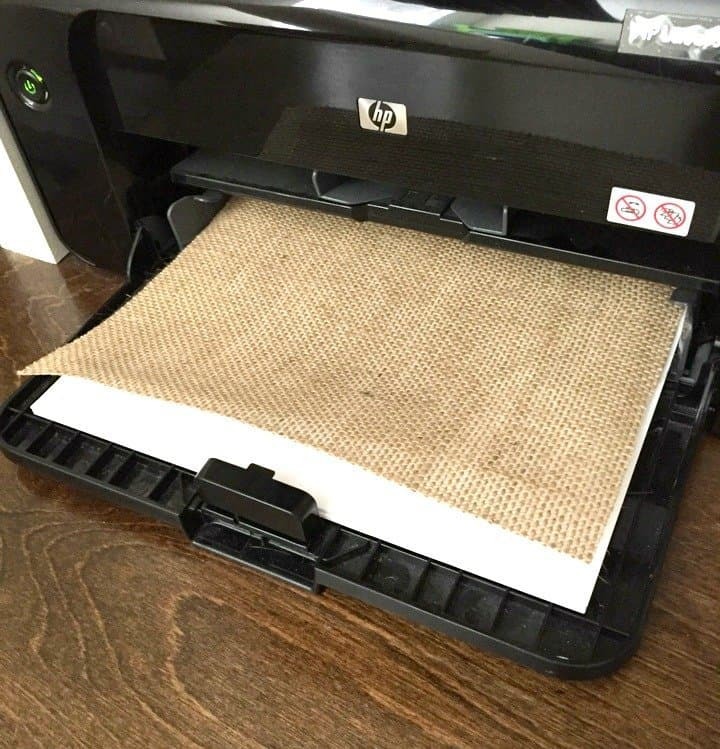 Step 4: Place your burlap in your printer. Click PRINT! Hint: Do a test sheet on regular paper to make sure you’ll be printing on the correct side. Ahem… I learned my lesson on this one! Step 5: Peel off the freezer paper. 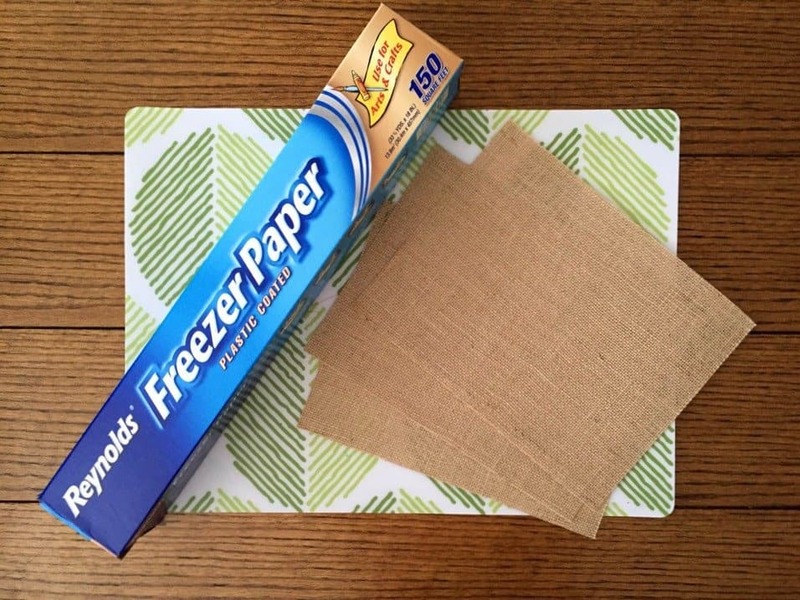 The freezer paper should come right off the back once your burlap is printed. If it’s a little stubborn try gently rolling the burlap to loosen it up, or place it in the freezer for a few minutes to “unmelt” the two pieces. Finished! Look at you, nap time ninja! 😉 You’re all done with plenty of time left to have a cup of coffee or tea before those munchkins wake up from their naps. Take a look at your gorgeous DIY printed burlap sign! 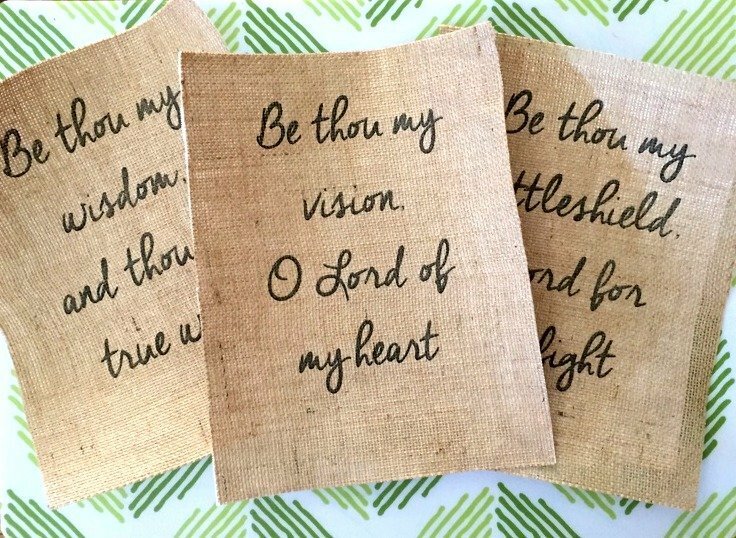 Now that you know how to print on burlap, the possibilities are endless for what you can create. Pillowcases, kid’s wall art, monogrammed everything… get creative! Got questions or tips about how to print on burlap? Drop them in the comments below. Don’t forget to sign up for our free printable library, and happy creating! Thank you!! This is so great!!!! I take it that is only an inkjet and not laser printer, or both? Looks great can’t wait to try it thank you! How do I put the paper in? Burlap facing up or down…..hrlp!!!! Hi Christa! I always forget which way my paper goes in my printer too. What I usually do is do a test page write back and front on a piece of blank paper then run it through and see what side your printer prints on. Then whichever side it prints on that’s the side that you want to print on. You’ll have the barefaced burlap on the front side with the freezer paper on the back side. Hope this helps! 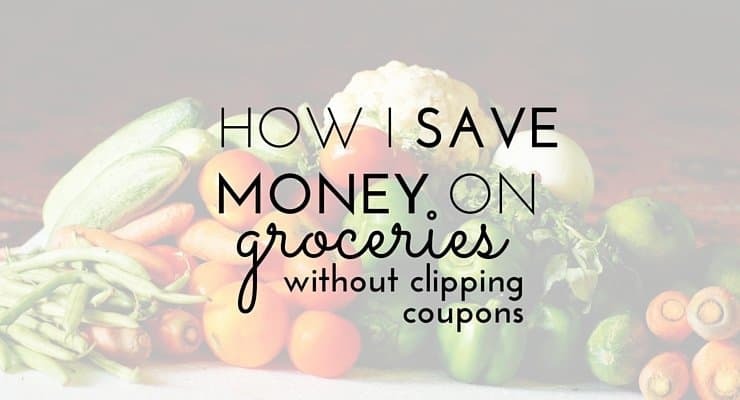 Do you wanna it to print only to burlap or onto the freezer paper? Just to the burlap, Tori. The freezer paper is basically to protect your printer and keep the ink from seeping though. Thanks, that was my question too being a burlap printing newbie! Do you have to mirror your image? I did not crystal, just print a test page to make sure the ink will be printed on the burlap side, not the paper side. I always test first by writing front and back on a blank piece of paper. I have a desk jet it starts to print then jams any suggestions? I would check your printer manual and see what the maximum paper thickness is? Some printers may not be able to handle the burlap thickness. 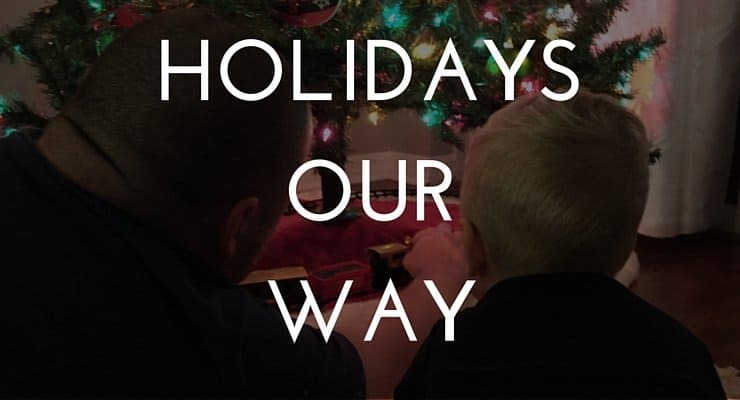 What font did you use? Mine was too thick and did not show up well. Hi Kerri! The font I used was called Cheddar Jack. I finally had the chance to try printing on burlap! My ink isn’t drying? Did you spray anything on top of it? Hi Nancy! I didn’t have any trouble with my ink drying. I used a laserjet printer if that makes a difference? Maybe check and see if there is any coating on the burlap that’s preventing the ink from setting properly? You could also try hitting it with a blow dryer if that helps! I will try that and let you know the results! I didn’t try it again and I set my properties for printing on glossy photo paper. It was dry within an hour. So, I am guessing the burlap must have had a finish on it. I HAVE PRINTED ON RIBBON AND COTTON FABRIC BY USING STICKY LABELS. i used colour photos but the colours are not as good as on paper. Spray adhesive from the craft isle. Dollar tree sells a small can as well. I had no luck. Everything worked great until the burlap came out of the printer. It is so faint you can barely see it. I tried two different laser jets – two different brands. Any suggestions? Hi Janet! All I can think of is maybe your burlap is extra absorbent? Maybe try washing it first and then see if it still soaks up too much of the ink. Thank you, we’re doing a family faith burlap banners to give to the community and I’m not a great hand writer. Trying to come up with short meanful sayings has been hard. Found you while browsing on Pinterest. Love you blog and sure wish I had info available when I was a young Mom. At age 73, I am starting a blog and find yours fascinating and definitely very professional. A lot of this is useful for us grandmas as well as Moms. Just wanted to say hello and will follow your success and hopefully learn from your blogging skills. I pinned the “print on burlap” tutorial. So thanks for that too. Hi Becky! Thanks for the lovely compliment! I’d highly recommend my friend Suzi at startamomblog.com or Jenni at thebizmavens.com for blogging advice. They’re the experts, not me! is the burlap you used laminated or just plain burlap? Hi Tara! I used laminated burlap, but with this process you could use regular burlap as well. That’s what the paper underneath is for, to make sure you have the correct size and also that the ink won’t seep through. Hope this helps! What if you don’t have a printer or own one? Can I do it free hand painting?